I decided to do a month long marathon this month. The way I decided to do this one is if it just claims to be based on a true story I will allow it... whether I believe the claim or not... or how much of the claim I believe. They claim it... it is allowed in this marathon. Titles in italic are films I have seen but been many years. There is several here I am looking forward to seeing... some for the very first time. But I would also like some opinions on ones that are must see films. *Updated List... added a few I missed and a couple new ones. Soul Surfer is the incredible true story of teen surfer Bethany Hamilton, who lost her arm in a shark attack and courageously overcame all odds to become a champion again through her sheer determination and unwavering faith. 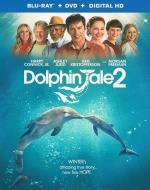 The film features an all-star cast, including AnnSophia Robb and Helen Hunt, with Carrie Underwood in her film debut, and Dennis Quaid. In the wake of this life-changing event that took her arm and nearly her life, Bethany's feisty determination and steadfast beliefs spur her toward an adventurous comeback that gives her the grit to turn her loss into a gift for others. I find this to be an amazing true story. The setting is gorgeous and the characters are great. While this is a faith film... I do not think it is one that is too preachy. She uses her faith to help her get through this terrible ordeal... but it didn't make me feel like it was being shoved down my throat. If you never seen this film I highly recommend it. 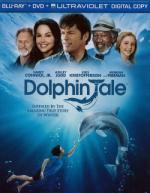 In an inspiring story of the bond between animals and humans, a boy named Sawyer discovers an injured dolphin, who is brought to a marine hospital and named Winter. Unfortunately, her injuries cost Winter her tail, without which she may not survive. But with Sawyer's devotion, a marine biologist's (Harry Connick Jr.) and the brilliance of a prosthetist (Morgan Freeman) charged with creating a new tail, Winter may receive a second chance at life. I found this movie to be simply amazing. Even more so considering it is based on a true story. I was drawn in from the very beginning... and it kept my complete attention till the very end. A real feel good movie. One I couldn't recommend high enough. An excellent story that is wonderfully done. After finishing this film... I immediately felt like I could watch it again. If that isn't a sign of an excellent film... I don't know what is. The inspiring true story of Winter isn't over. Several years after receiving a prosthetic tail, Winter loses her surrogate mother, leaving her alone, grieving and unwilling to engage with anyone, even her best human friend, Sawyer. Worse, she may have to be moved from her home at the aquarium due to regulations requiring dolphins to be paired. When Dr. Clay Haskett and his dedicated team can't find her a companion, it looks like they may lose their beloved Winter...until an unexpected turn of events brings them Hope. While I would say I liked the first one a little more. This film is a wonderful addition to the franchise. If you liked the first one... then this one must been seen as well. Inspired by a true story, The Vow is the tale of a love that refuses to be forgotten. Leo (Channing Tatum, Dear John) is devastated when a car accident plunges his wife Paige (Rachel McAdams, The Notebook) into a deep coma. She miraculously recovers – but the last five years of her memories have vanished. Suddenly, Leo finds himself married to a stranger who can't remember anything about him. Naively, Paige falls back under the influence of her controlling parents (Sam Neill and Jessica Lange) and reconnects with her ex-fiancé (Scott Speedman). Desperately, Leo tries to recreate the moments that shaped their romance. Can he rekindle the passion before he loses Paige forever? I actually enjoyed this one more then I expected to. A true love story that will put you through some emotions. Without going into detail about it.... I both liked and disliked how this story ended. But that is one thing I like about true stories... a happy ending is not guaranteed. Not that this is an unhappy ending... it just could have been happier. This one is definitely worth the time put in to watch it. Recommended. From DreaWorks, Steven Speilberg directs two-time-Academy Award® winner Daniel Day-Lewis (Best Actor, There Will Be Blood, 2007 and My Left Foot, 1989) in Lincoln - with an all-star ensemble cast including Sally Field, Tommy Lee Jones and Joseph Gordon-Levitt. This inspiring and revealing drama focuses on the 16th President's tumultuous final four months in office as this visionary leader pursues a course of action to end the Civil War, unite the country and abolish slavery. Complete with never-before-seen footage featuring Steven Spielberg abd the cast, who take you deep inside the making of the movie, Lincoln sheds light on a man of moral courage and fierce determination. I found this film interesting and it has a good cast. It is definitely worth the time put in to watch it. Though I will say it is a long (2 and a half hours) and slow story. Not really a bad thing... but I did find my interest straying away from the film a bit here and there. Joseph Gordon-Levitt and Seth Rogen team up to beat the odds in a film that Peter Travers of Rolling Stone calls "achingly hilarious and heartfelt." Diagnosed with spinal cancer, 27-year-old Adam (Gordon-Levitt) navigates the road to recovery with the sometimes overbearing support of his crude best friend (Rogen), his smothering mother (Angelica Huston) and an inexperienced therapist (Anna Kendrick). 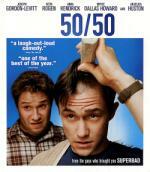 Inspired by a true story, 50/50 is an honest yet hysterically funny account of a young man's journey toward healing. Good film... well worth the time put in to watch it. It has an interesting story and I liked all the characters. I even enjoyed Seth Rogan in this on... who is normally someone I find very hit or miss. For the first time in stunning Blu-ray High Definition, Academy Award® winner Robin Williams (Best Supporting Actor, Good Will Hunting, 1997) delivers a tour-de-force performance in the 25th Anniversary Edition of the hit comedy Good Morning, Vietnam! Enjoy the unsurpassed digital sound quality of Blu-ray Hi-Def as military deejay Adrian Cronauer (Williams) spins a red-hot soundtrack of '60s hits. His sidesplitting comedy and rapid-fire wit make him a hero to the troops, but quickly get him in hot water with his by-the-book superiors. 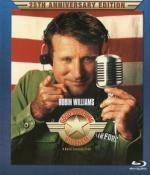 Featuring a behind-the-scenes look at Williams' hilarious radio monologues, Good Morning, Vietnam remains the quintessential Robin Williams comedy. This one I enjoyed quite a bit. A fun film with a great comedian. One I haven't seen in quite a while. I love the fast talking comedy Robin Williams does here. Highly recommended. Great film... if you never seen it I highly recommend it. A real feel good movie with likable characters. I was a little surprised to see this one is based on a true story.... as a father I would have had a hard time letting my teen daughter do such a thing. The studio that brought you The Rookie and Remember The Titans presents a new reason to stand up and cheer: Miracle is here on Disney Blu-ray! Now the action-packed true story that united a nation is more exhilarating and suspenseful than ever in heart-racing high definition! 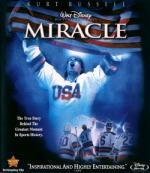 Kurt Russell stars as Herb Brooks, the dynamic and determined coach of the 1980 United States Olympic ice hockey team. Brooks had an impossible dream: to defeat the seemingly unbeatable Soviets at their own game. Starting with a handpicked group of undisciplined kids, Brooks inspired them to play like they'd never played before, and transformed them into a team that believed they could achieve the unachievable. Feel the burn as you rocket across the ice accompanied by the thunderous roar of the crowd. Live the dream as you experience one of the greatest triumphs in sports history in the razor-sharp clarity and crystal-clear sound of Blu-ray™ High Definition. This one is well worth the time put in to watch it. 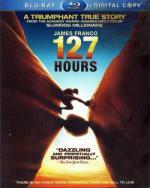 It is a good and inspirational film. A true underdog story. OSCAR® Winner Matt Damon* gives a heartfelt performance in this film which is based on a true story. 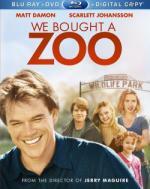 When his teenage son gets into trouble, Benjamin Mee (Damon) gives up a lucrative newspaper job to move his family to the most unlikely of places: a zoo! With help from an eclectic staff, and with many misadventures along the way, Benjamin embarks on a fresh beginning to restore the dilapidated zoo to its former glory, while uniting his family. From the director of Jerry Maguire, We Bought A Zoo is a "wonderful, warm and witty" (Bill Bregoli, CBS Radio News) celebration of the human spirit. *1997. Original Screenplay (with Ben Affleck), Good Will Hunting. This is one I have watched a few times before... And it remains as good as the first time I watched it. It is one of my favorites. It is a must see if you haven't seen it yet. Highly recommended. 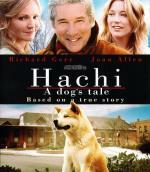 From Academy Award®-nominated director Lasse Hailström (1999, The Cider House Rules) comes HACHI: A DOG'S TALE, a film based on one of the most treasured and heartwarming true stories ever told. Golden Globe® winner Richard Gere (2002, Best Actor in a Musical or Comedy, Chicago) stars as Professor Parker Wilson, a distinguished scholar who discovers a lost Akita puppy on his way home from work. Despite initial objections from Wilson's wife, Cate (Academy Award® nominee Joan Allen - 2000, Best Actress, The Contender), Hachi endears himself into the Wilson family and grows to be Parker's loyal companion. As their bond grows deeper, a beautiful friendship unfolds embodying the true spirit of family and loyalty, while inspiring the hearts of an entire town. This one I enjoyed quite a bit. The story of loyalty that knows no bounds. An adorable dog's tale that must be seen. 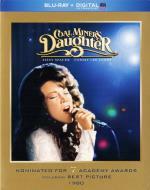 Nominated** for seven Academy Awards® including Best Picture and based on the best-selling autobiography, Coal Miner's Daughter is the amazing true story of the legendary country star, Loretta Lynn. In the acclaimed performance that earned her the Academy Award® for Best Actresss, Sissy Spacek stars as the poor Appalachian Mountains mother who rose from humble beginnings to become the "Queen of Country Music." Co-starring Tommy Lee Jones as her ambitious husband who recognizes her talent and prods her into making a record, Coal Miner's Daughter is a remarkable tale of a woman's triumph in making her name in the world. **1980 Actress In a Leading Role, Best Picture, Writing (Screenplay Based on Material from Another Medium), Cinematography, Art Direction-Set Direction, Sound, Film Editing. I haven't seen this one in many years. While I remembered enjoying it... I forgot how good this one is. Sissy Spacek did a wonderful job as Loretta Lynn. The first time I saw this I didn't even know who Tommy Lee Jones was... so it was a little weird seeing him so young here now. He played Loretta Lynn's husband who lets say was not very likable. Highly recommended. James Franco was simply amazing! 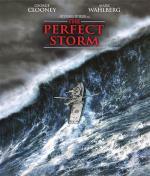 The story draws you in and keeps your attention through-out the film with ease. And the fact that it is a true story only adds to it. A very powerful story to say the least. If you haven't seen this film yet... I can't recommend it high enough. It really is a must see film.